NEW ORLIMAR GOLF; TRIMETAL #5 FAIRWAY WOOD: FREE HEAD COVER; WE'RE ONLY GOING TO OFFER A FEW OF THESE AT THIS ROCK BOTTOM PRICE!! BAM.!!! YES THIS IS THE SAME COMPANY THAT BRINGS THE ORLIMAR GOLF CLUBS TO THE PGA PRO'S !! Yes these are BRAND NEW still in the factory wrap! The Manufacturer's Suggested Retail Price for this item is $199.95; your price is much better!! FREE SHIPPING TO ANYWHERE IN THE CONTIGUOUS USA!! !.....WE SHIP MOST ORDERS WITHIN 24 HOURS. 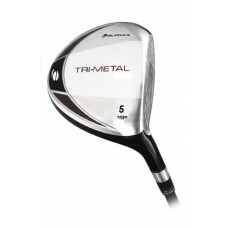 Orlimar Golf: TRIMETAL #5 Fairway Wood Left Hand STIFF Flex: Head cover included !!! Orlimar’s patented plasma welding process joins two metals with unique properties; The Orlimar TIRMETAL Tour Fairway has a super strong 6/4 Titanium face and crown with a stainless steel sole. he center of gravity is exceptionally low which promotes solid contact and higher ball flight. It has exceptional distance from the tee or fairway. As always we have had excellent feedback with ORLIMAR clubs !! FREE SHIPPING for the contiguous U.S.A. only. Other destinations: PLEASE CONTACT US; Shipping will be billed at our actual shipping cost.